Just created my first Extreme Performance 12.2.0.1 database in the cloud.oracle.com. So just after a day (within a day?) 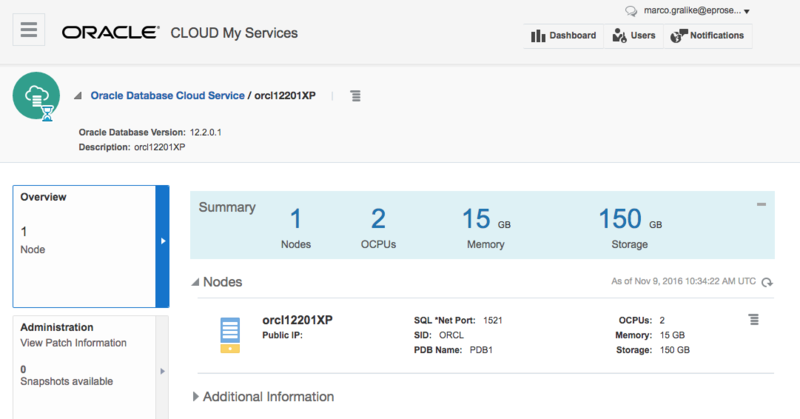 most of the manuals of 12.2.0.1 went online, the new 12.2 database is now also available on the DBaaS Oracle Cloud offering. Previous Post Oracle 12.2.0.1 Manuals available now!